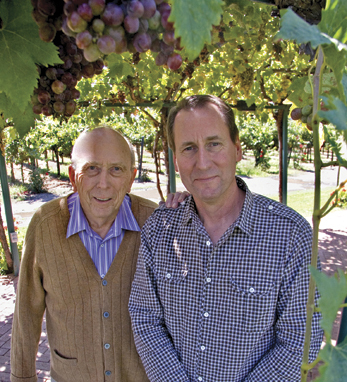 Jim and John Concannon are third and fourth-generation vintners, carrying on the family legacy at the Concannon Vineyard in California, just east of San Francisco in the Livermore Valley. The Concannon family has spent more than 128 years making wine there, from America’s first Petit Syrah to wildly successful Cabernet Sauvignon and delectable Chardonnays. The first successful winery to be founded by an Irish immigrant, the vineyard was founded by James Concannon, who was born on the Aran Island of Innis Meain on St. Patrick’s day in 1947, at the height of the Famine. Today, Jim and John are committed to preserving the vineyards, their winemaking heritage, the winery’s history, and the quality of the wines that bear the family name. Click HERE to read an interview with Jim and John, and to learn more about the inspiring history of the Concannon Vineyard.